Our veterinary experts can determine the cause of seizure through neurological exams, behavior tests, blood tests, and brain tests. An electroencephalogram (EEG) is the most commonly used test to identify abnormalities in the brain. It’s conducted by attaching electrodes to the brain that record electrical activity of the brain. CT scans and MRIs are useful types of EEG tests that can detect lesions, cysts, or bleeding in the brain. Genetics: Seizures can be hereditary. Certain breeds of dogs and cats are more inclined to experiencing neurological disorders than others. Animals whose parents have a medical history of seizures also have a higher risk of having seizures. Environmental factors: Overexposure to harmful chemicals like pesticides or cleaning fluid can result in impaired brain function and seizure. Keep your pets safe from toxic substances by storing them somewhere safe and monitoring your pet’s activities. Trauma: Animals can suffer brain damage that results in seizures if they are involved in major accidents that cause trauma to the head. Accidents like falling from great heights, car crashes, altercations with other animals can all be devastating. Health conditions: When left untreated, illnesses can spread to the rest of the body and affect the brain. For example, tumors, encephalitis, high blood pressure, and even liver disease can damage the brain or nervous system. Structural seizure can be either generalized or focal. Generalized seizures affect both sides of the brain and body. This can lead to involuntary muscle spasms, impaired senses, foaming at the mouth, and/or incontinence. Focal seizures are the opposite. They only affect a localized part of the brain, so the whole body doesn’t react to the seizure. Common symptoms of focal seizures are facial twitches, pupil dilation, or vomiting. If you believe your dog is experiencing seizures, it’s important to figure out the underlying problem and get treatment as soon as possible. Extreme seizures can be debilitating. 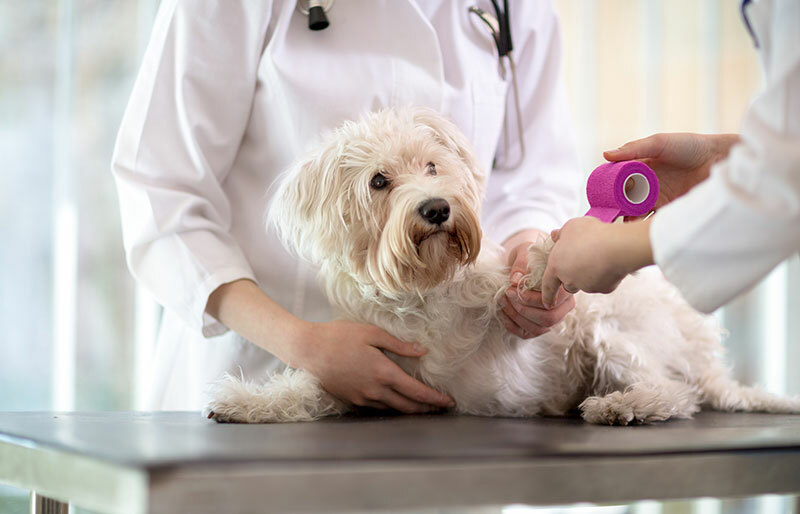 Our veterinarians at BrightCare Emergency can ease your pet’s pain and manage seizures before, during, and after they come. 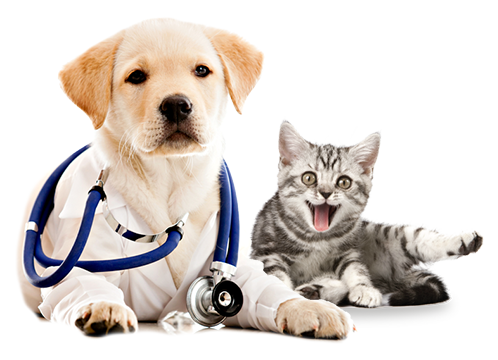 You can make an appointment with our vets for diagnosis, preventative medical advice, and prescriptions. Our veterinary center is also open for emergencies with vets on duty 24/7, so you can stop by anytime. Seizures are a medical condition characterized by a series of convulsions or a fit related to an involuntary perturbance in the brain. They are categorized as a neurological condition and they can affect dogs and cats. When seizures occur in sequence, they are referred to as epilepsy. How will I know if my dog/cat is experiencing a seizure? Aural phase: This occurs before the seizure and it can be displayed through any of the signs listed above. While some animals exhibit obvious signs, others may be more discreet. If your pet has a history of seizures, make sure to be extra sensitive to these signs. Ictal phase: During this phase, your cat or dog actually experiences the seizure. Seizures can last anywhere between a few seconds to a few minutes. Postictal phase: A seizure can be scary, confusing, exhausting, and even life-threatening for pets. As a result, your pet will most likely by disoriented by the experience. What do I do if my pet has a seizure? First, it’s important to remain calm. Most seizures are not deadly – they are a symptom of an underlying problem and they will pass. However, your pet is at risk of harming itself during a seizure because your pet’s body is acting unconsciously. Keep other people, animals, and sharp or delicate objects away from your pet. To keep your pet’s airway clear for breathing, gently place them on their side. Since seizures should only last a few seconds to a few minutes, check the time to see how long the seizure goes on. If it takes more than 5 minutes, take your pet to the pet hospital for emergency care. Reactive seizures can be treated by removing the stimulus and seizures caused by health conditions can be prevented by treating the health condition. Pets who have recurring seizures due to genetic reasons or brain damage, however, may never be fully “cured” from their seizures. Instead, veterinarians focus on managing the frequency and severity of seizures to improve the quality of their patients’ lives. Anticonvulsant drugs and physical therapy can help control the seizures. Your pet can lead a long, happy life despite their condition with the proper treatment and management.